After the long winter, we all need to refresh our house and clear up the mess. Well, we have some good news for the residents of the Maida Vale area. Our company now offers you our spring cleaning service with the new lower price. Your house will be professionally cleaned from some of the best trained professional in this business. We have family values and we know your home is your castle that’s why our cleaners will treat you and your property with respect. 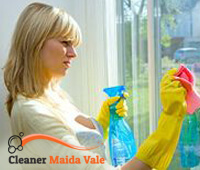 Our company runs a background check to all of our employees, ensuring that our clients in Maida Vale will receive nothing but the best spring cleaning experience. Just pick up the phone and book and our cleaners will be on your doorstep, fully equipped and ready to get your home in a spick and span condition. We are well aware the every single household has different needs and priorities. However, over the years we have found a universal cleaning list we follow and it’s proven to work perfectly every single time. In the kitchen, we are cleaning all the appliances such as oven, microwave, fridge and freeze both inside and outside. Clean cupboards, drawers and countertops, switches, sockets, we pay special attention to the tiles. Bathroom – sanitising the toilet, shower and bath, all surfaces are scrubbed including walls, doors, removing the mold (if any), skirting boards and floors. Other rooms – our cleaners will make sure every square inch of the house is perfectly clean and fresh smelling. They clean stairs, lounge, bedrooms, living room and hallway. Vacuuming or mopping the floor if wooden. Dusting all surfaces, wall pictures, lights and other ornaments. We won’t leave your property until you are 100% satisfied with this service. 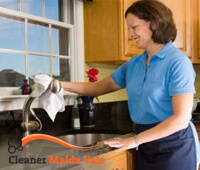 Our domestic spring cleaning service is designed to meet even the highest expectations of quality and professionalism. Just ask some of our hundreds of happy customers in Maida Vale. Don’t forget to ask for you free quotes today!